Cryptomining.farm is a cloud mining company and investment opportunity that wants to give people a way to utilize high-quality crypto-currency mining with guaranteed profits. They are offering virtual mining contracts with bitcoin payments. The cloud mining platform has some very appealing features. You can earn daily income with guaranteed profits. Upon sign up, you receive 50 GHS hashpower that is for your for the lifetime of your future contract. Due to no difficulty increase and no maintenance, Cryptomining Farm is a very popular service. 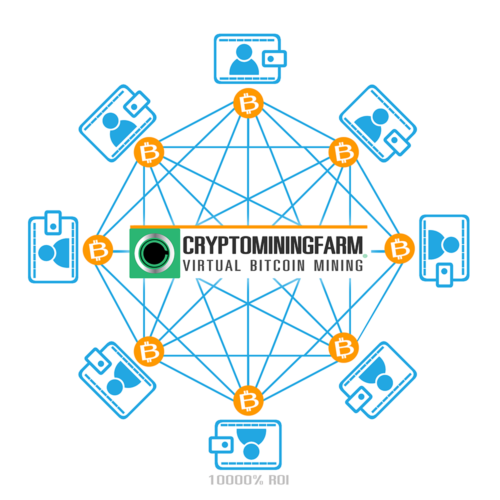 Cryptomining.Farm was launched in September, 2014 to provide Virtual Mining Contracts services to more and more people. The company is based in Thailand with officially registered at local official authority. The only information that can be found about Lifetime Technology online comes from its Facebook page. That Facebook page lists a phone number and an address in Chiang Mai. The page also claims that the company was founded in November 2008 – although the blockchain mining operation started in 2014. That Facebook page lists the company’s official website at lifetime-technology.com. The website lists the company’s core products, including telecommunications infrastructure, ICT solutions, and data centers. Cryptomining Farm offers cloud mining services. The GHS rates on the sites are virtual mining hashrates. They even let you know that they don’t have any real bitcoin ASIC hardware. There is no further information about what are GHS exactly if they are running a private blockchain in the background or how it is connected to bitcoin. GHS is often referred on the site as a unit of measurement. On the other side, Cryptomining Farm offers some very appealing features in their services. They guarantee profit through the no difficult increase. They offer a fixed rate of the payouts for 0.0009USDT/1GHS/day and promise to increase 5% for 15 years. 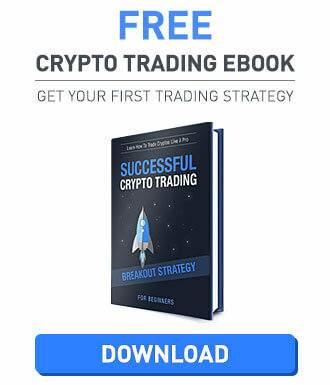 The guaranteed profit comes from cryptocurrency trading – as they claim. It is possible to sign up for a trial period at Cryptomining Farm. 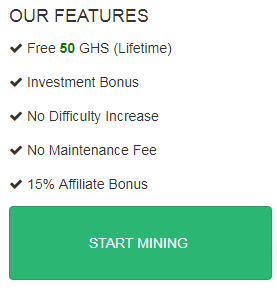 You can do mining on demo account in the first 30day, when your free miner stops after 30day, you need to buy 20GHS minimum. So make sure you cancel your account before the trial period ends if you do not want to purchase the minimum hashrate after the trial period. Plans are offered from 3 months up to 15 years. Within 3 months, investors are promised to can get 130% ROI. Even lifetime mining contract is possible to reserve with special conditions. As you sign up for an account, you are given a free amount of 50 GHS. The reason for giving out this free mining power is to make people realize that the business is authentic and able to deliver even more than what was promised. You are also eligible for more profits by spreading the news to your friends. If your friend buys between 10 and 1000 GHS, you will receive 15% of what they purchase. The more rewarding aspect comes when your friend buys more than 1000 GHS after registering through you. Buying mining power on Cryptomining comes with multiple options as you can choose to do it with bitcoins or with UNITCOIN. The profit calculator on Cryptomining Farm helps you decide which plan is the one that suits your needs to the best. You can choose from mining plans from 3 months up to 15 years. They guarantee profit in bitcoin(fixed rate 0.9USDT/1000GHS/day). You will get more bitcoin when price down, get less bitcoin when price up and get fixed rate by USDT mining type. The prices are ranging from 0 USD (they give out 50GH/s free hashrate upon sign up) to 500 USD per plan. The more you spend today, the longer your mining contract will last. You also gain access to more “GHS”. This company actually does not provide their customers with any information regarding minimums or maximums for either deposits or withdrawals, so customers will actually need to be willing to sign up for this program before being able to receive a full set of instructions and guidelines. Crpytomining.Farm website has a neat look, easy to navigate on. The site is available in four different languages: English, Thai, Chinese and Russian. However, there is not much information available about the services offered. You can only find out the basic information about mining. Starting up nevertheless is easy as it requires supplying just one or two pieces of information and a little start-up to purchase hashpower. The terms of usage are very short and only highlighting that accounts can be suspended upon suspicious activity. Most of the scam testing site list Cryptomining Farm in a paying status. However the no difficulty increase feature is raising the question how can the owners keep the cloud mining company profitably if the payouts are not decreased along with the increase in difficulty or along with price fluctuations of bitcoin or USDTether. Because of this, it is possible, that Cryptomining Farm is running a ponzi scheme in the background to be able to pay out old members from the deposits of the freshly joined users. 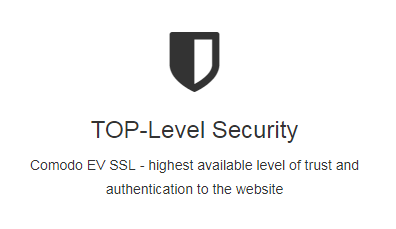 Some users have already expressed this over the forums about the company. Cryptomining Farm offers very appealing cloud mining option for those who would like to participate in the rise of cryptocurrencies. The site offers up to 130% within three months with no difficulty increase. If you invite your friends and they buy between 10 and 1000 GHS, you will receive 15% of what they purchased which is indeed a high commission rate for referrals. Cryptomining Farm does not provide direct bitcoin payouts, you can only purchase virtual mining facility on the site. Couple of users are already complaining about missing payout, so be careful before you sign up to Cryptomining Farm’s services even if the offers on the site are very promising.